100% Design tends to be where the larger companies hang out, and there are light switches, staircases and pocket doors, surface finishes and office furniture on offer. However, it is still worth a visit as you never know what you might find nestled in amongst these stands. Ethnicraft furniture is all about functionality, simplicity and quality. Wood is infinitely renewable, and Ethnicraft consider the consequences of their designs on the environment. I love the contemporary timelessness of their designs. 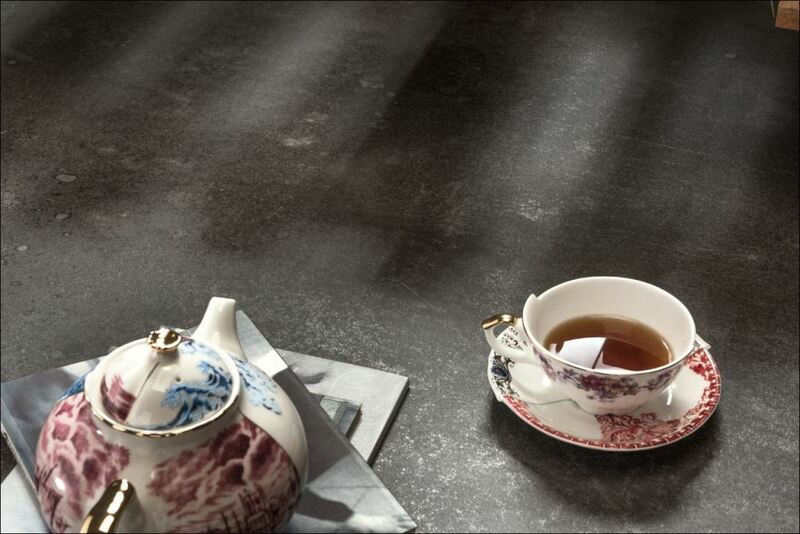 I have been keeping an eye out for flooring for my new living room, and was drawn to these metallic-effect tiles from Porcelain Tiles. They come in three colours and various sizes, including large format (1.5x3m), and the overall effect is simply beautiful! 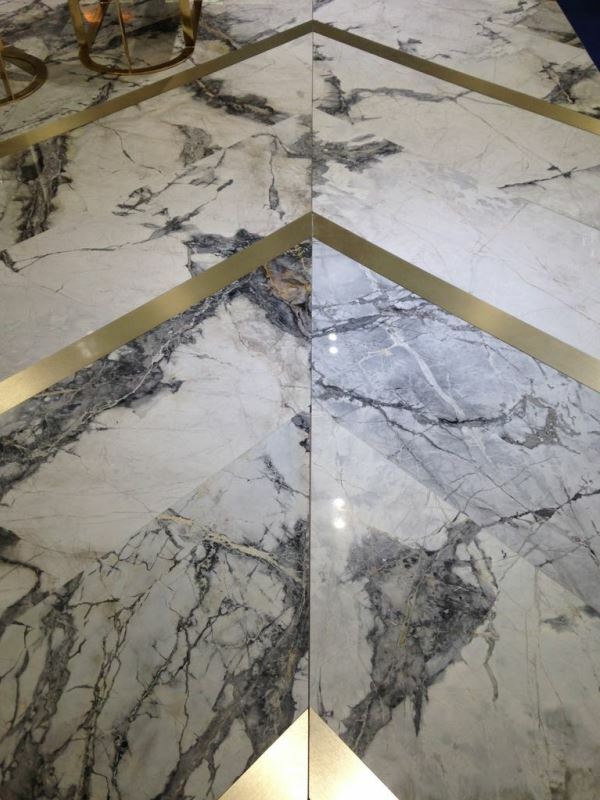 Keeping to the theme of tiles, Antolini had the most spectacular stand at the show with these gorgeous marble tiles inlaid with brass strips – beautiful! 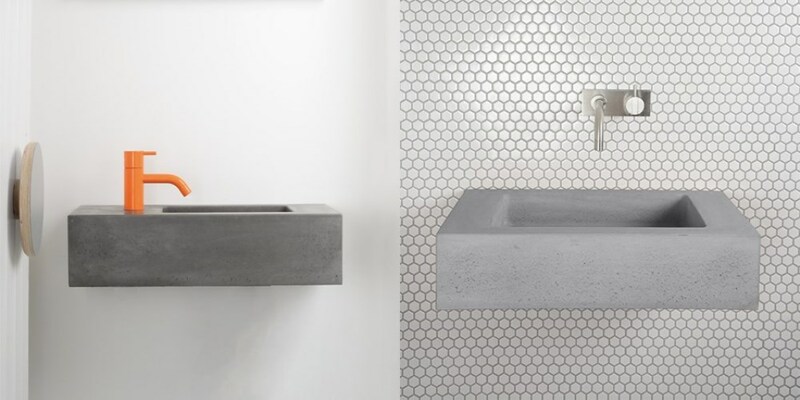 If the beautifully decorated basins I spied at Decorex are not your cup of tea, you might prefer these concrete basins from Kast Concrete Basins. 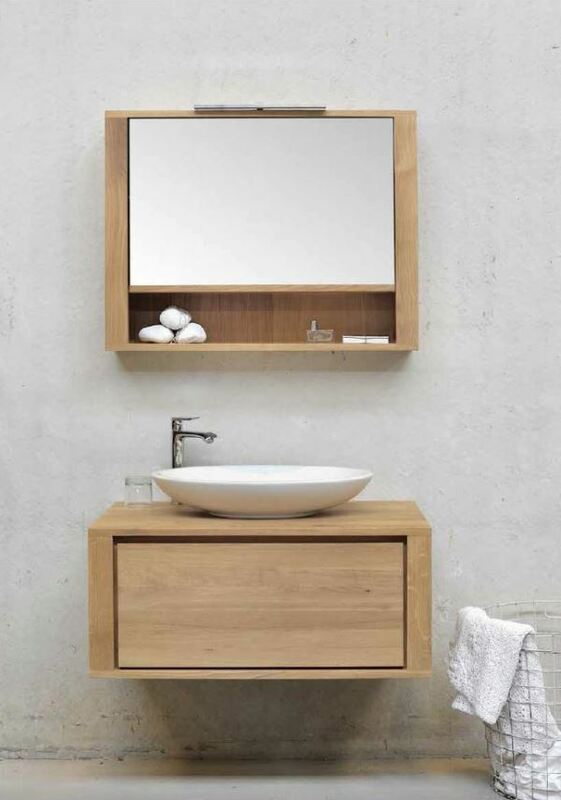 Kast have developed a wide range with customisable options for size, colour and shape. 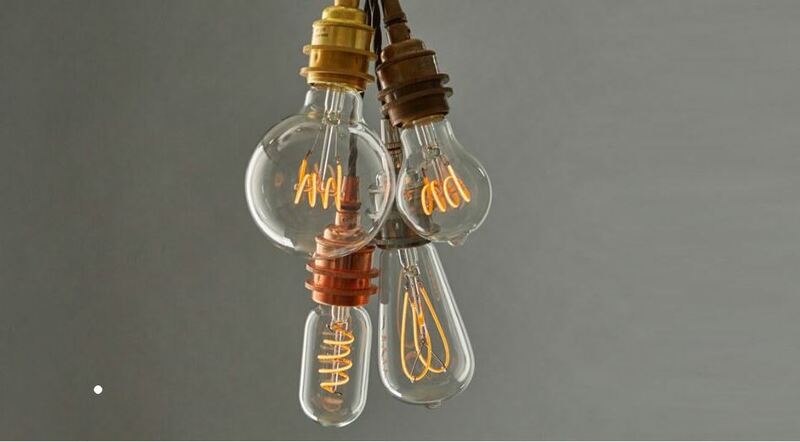 Industville offer a fantastic range of vintage retro antique industrial lighting and furniture, and I am currently specifying several of their lights for a commercial project that I am working on. 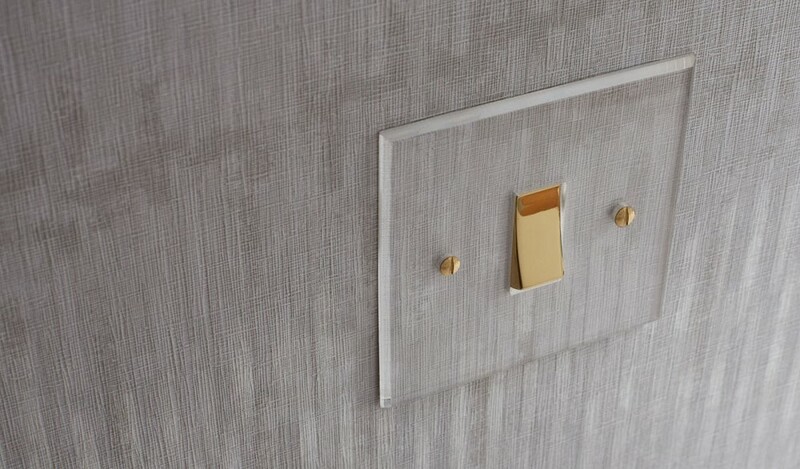 Light switches don’t have to be boring white. They don’t even have to be chrome. Look at these little beauties from Focus SB! It’s these sorts of details that can make or break an interior design project. Mind you, I’m glad I’m not the decorator or electrician when it comes to these sort of switches! I spotted quite a lot of South African design as I walked around the show, although most of it was gathered together on the South Africa stand. A couple of the exhibitors there included Studio 19, which had some interesting lighting and home décor pieces, and Aboda, whose gilded tableware and unique porcelain items caught my eye. 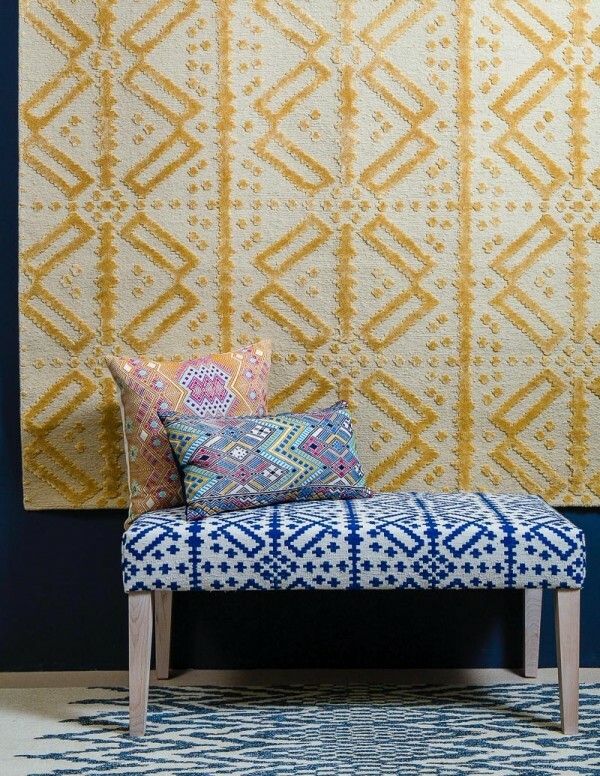 Another South African product that caught my eye were the handwoven rugs from Coral & Hive. 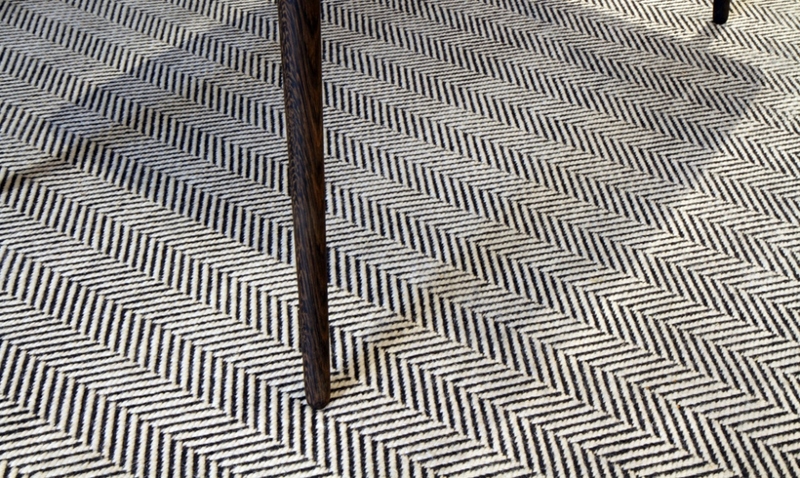 Their range of rugs includes cotton, mohair and karakul wool. Andrew Dominic is originally from Devon, but now creates simple yet beautiful pieces of furniture from his workshop in Cape Town – lucky him! I love the design of this server that features a playful mosaic of opposing angles that toy with light and shadows. 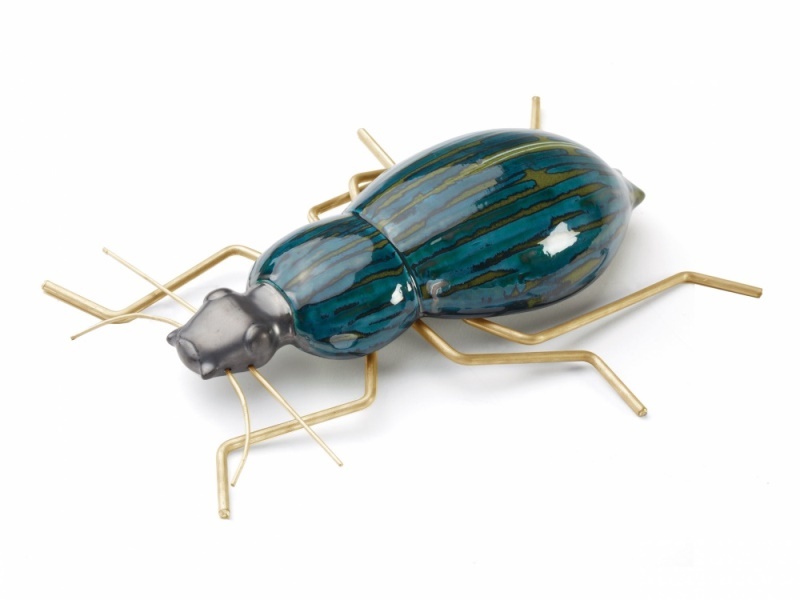 How about these giant ceramic and brass insects by Mambo Unlimited Ideas? Their collection includes ants, beetles, praying mantis, rhinoceros beetles and crickets. One of these is definitely on my wishlist! Next door to 100% Design was a new show, LuxuryMade – a collection of exhibitors all trying to answer the question of ‘What is luxury’. Held in Olympia’s Pillar Halls, many of the exhibitors were companies that I am already familiar with, but some did stand out from the crowd. So, whilst we’ve got our quirky hats on, how about Emma J Shipley’s cushions? 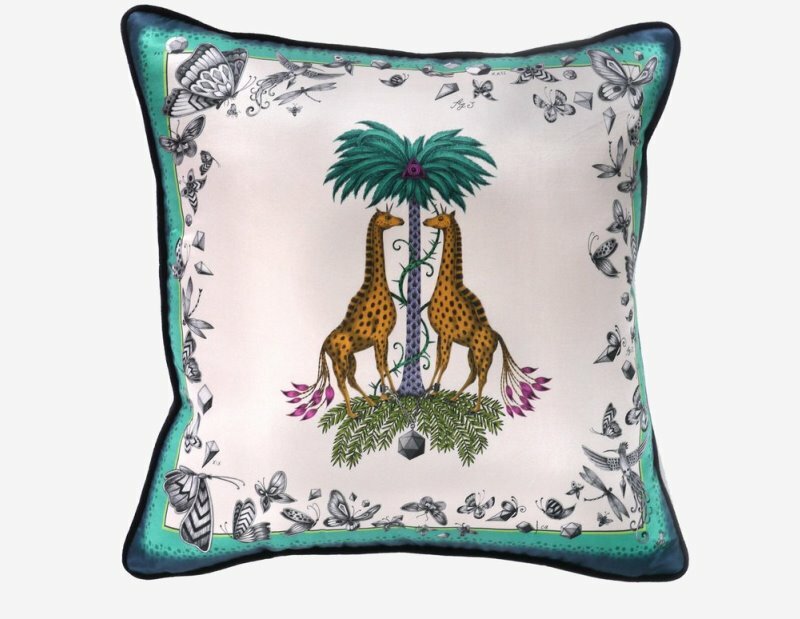 Inspired by the South African plains, her cushions are printed on a cotton and silk blend, and are perfect for adding some jungle exoticism to your home! 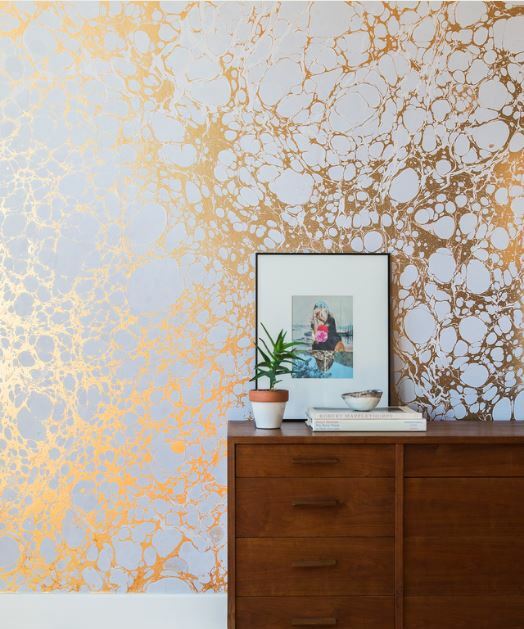 But, possibly the best discovery of all at Luxury Made is that this beautiful wallpaper from Calico is now available in the UK! Hip hip horrah! Also part of the London Design Festival this year were Design Junction, at its new home in Kings Cross, and The London Design Fair, on the other side of town at the Old Truman Brewery. My day started early, with a breakfast reception at Design Junction. It was a beautiful, crisp, sunny day as I walked from Kings Cross station. Design Junction was made up of two main sections, Cubitt House, with its spectacular facade designed by architectural firm Satellite Architects alongside Icons of Denmark, and The Canopy. Cubitt House was the place to be for cutting-edge furniture, lighting and accessories, whist The Canopy was a pop-up venue for 70 luxury retail brands selling everything from fashion accessories to technology, textiles and stationery to ceramics. Kicking off my highlights from Design Junction is well-lit, a new brand of LED lighting that promises no compromises to the quality of light and ambiance in your home. In fact, they are so confident about their products that they give you an entire year to change your mind and get your money back! 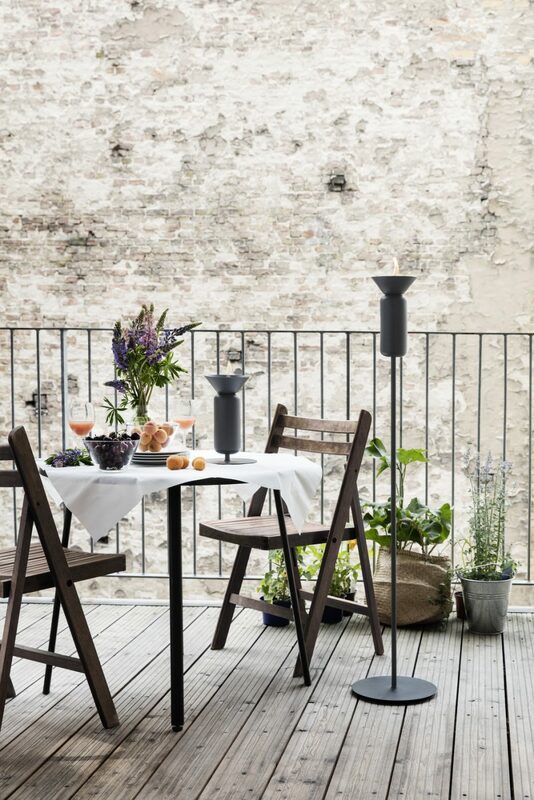 Still on the subject of lighting, I came across these outdoor oil lamps from Norwegian company, Northern Lighting. 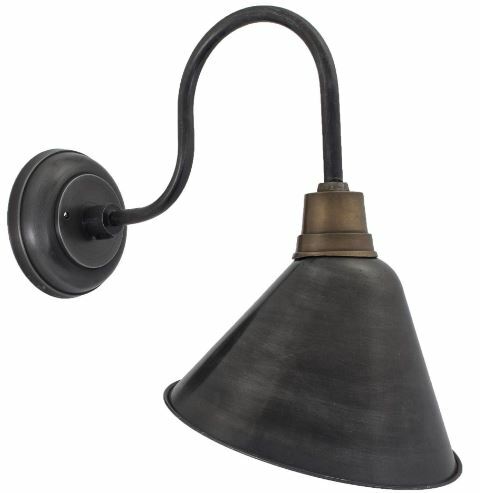 Inspired by a field of tall these lamps are available as a table lamp, a floor lamp or a lawn light. So, for those who appreciate ‘living light’, this is a good and flexible solution. Bethan Grey was exhibiting a stunning now collaboration with Mohamad Reza Shamsian, an Iranian artist renowned for merging traditional craft with modern, elegant and contemporary design to create a truly unique and timeless aesthetic. 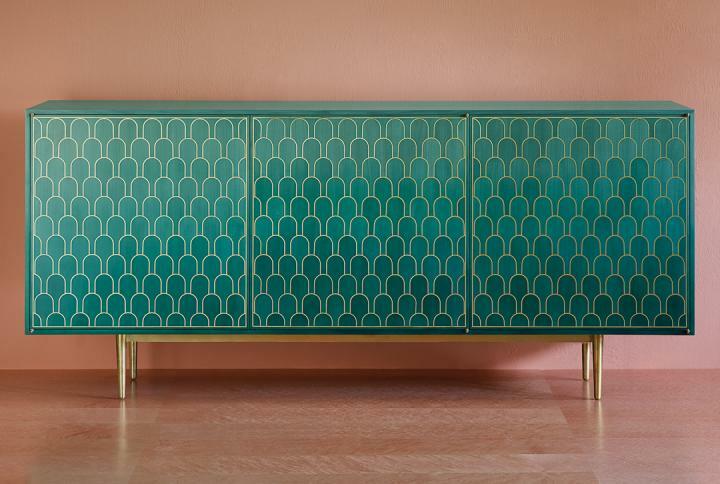 The result is truly beautiful – solid brass and paua shell inlays into coloured solid wood and maple veneers. 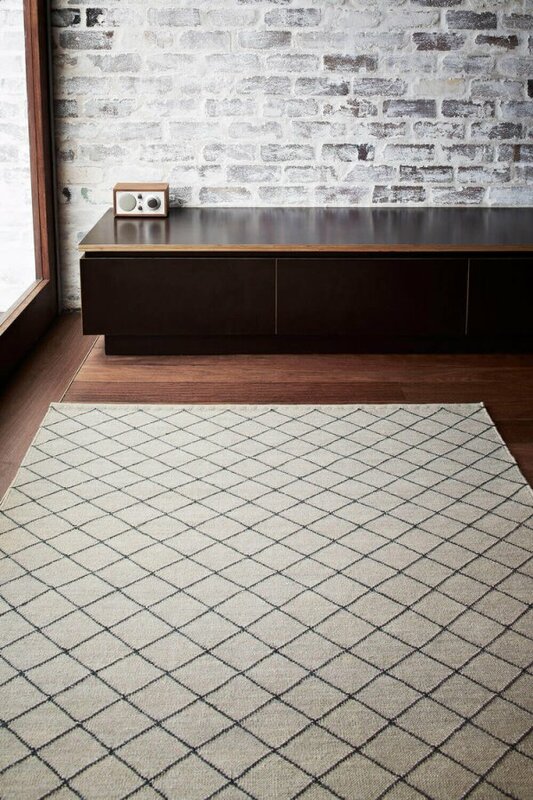 I was drawn to the texture and patterns in Cavalcanti’s range of contemporary woven rugs, made by hand using pure New Zealand wool. These flatweaves are very hardwearing and can withstand heavy traffic areas such as corridors and staircases, as well as making great loose lay rugs. Floor_Story were exhibiting these stunning rugs made in Pakistan. The rugs are all hand woven in cotton and wool before being washed, dried and then embroidered with around half a million stitches. My magpie eye picked up on the exquisite trays from Notre Monde! 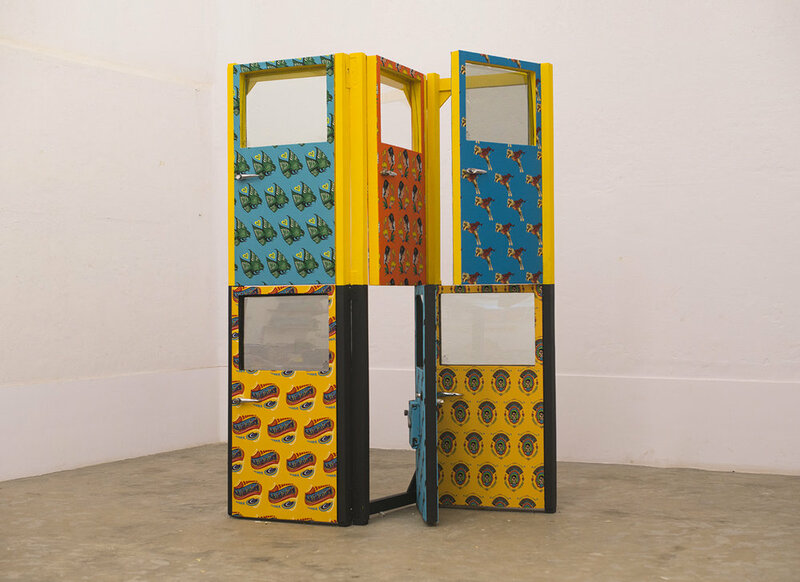 Their trays, mirrors and furniture have all been made using a mix of traditional techniques and global ideas, and each piece is one-of-a-kind. Then, after a relaxed lunch enjoying the sunshine by the canal, it was off to The London Design Fair, featuring Tent, Superbrands and the British Craft Pavilion. This rabbit warren of a venue features a treasure trove of international exhibitors, designers and brands, and is always worth a look. 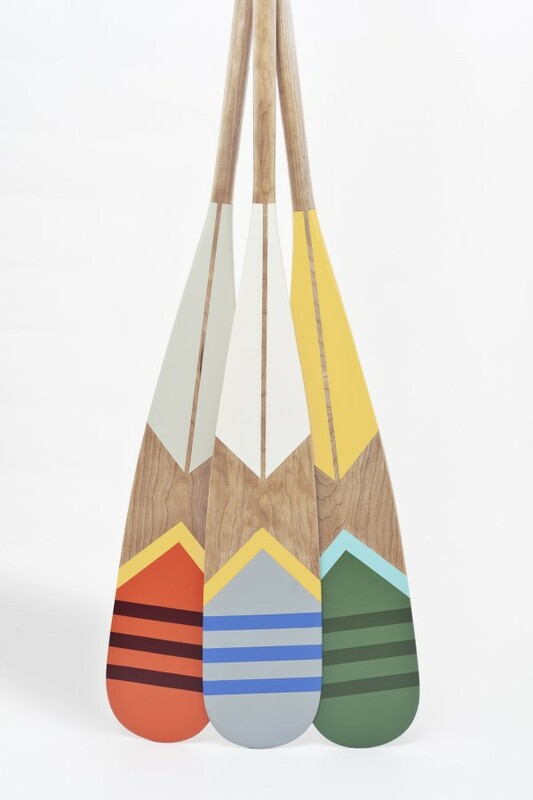 Kicking off on the international front I came across Canadian company Norquay Co. whose northern heritage and canoeist lifestyle has inspired their collection of artisan painted canoe paddles. These would be a fun piece of art to add to your walls. Staying on the other side of the Atlantic is Bend Goods, a Los Angeles based design and manufacturing company. Bend make a range of products that are functional yet sculptural and playful. Heading west from LA is Australian brand Totem Road, a sustainable furniture company, dedicated to bringing you on-trend, timeless pieces without any hidden costs to the environment. 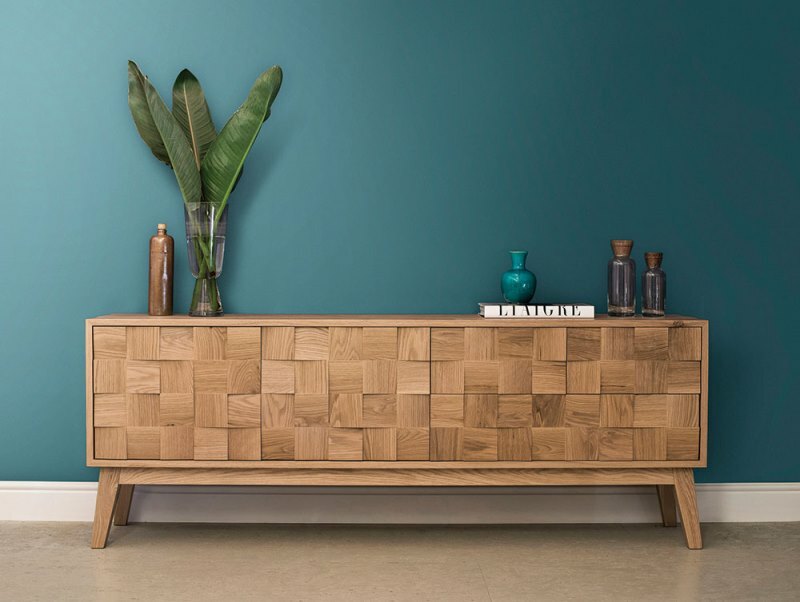 Their solid oak furniture combines contemporary mid-century design with Scandinavian influences to create pieces that are designed to last a lifetime. 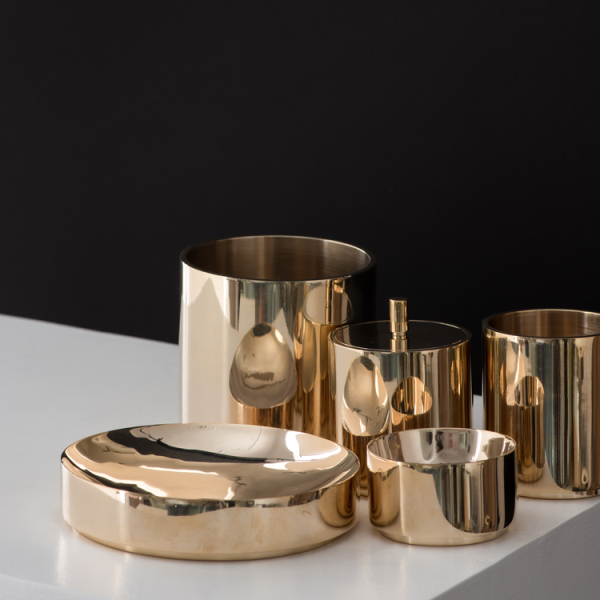 Next up is Indian brand Syzygy, who were exhibiting their debut collection of solid brass & copper accessories. 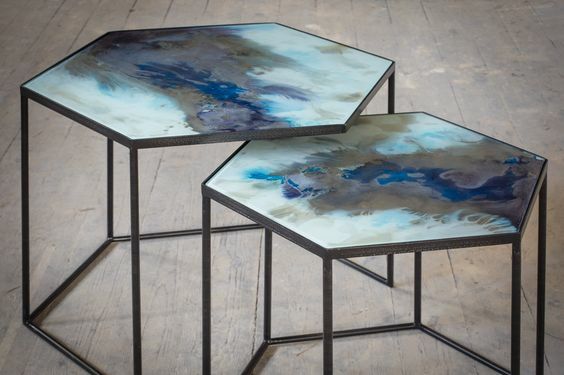 I love the contemporary form on these pieces! I was particularly drawn to the colourful stand by Taxi Fabric, which started out as a project to turn Mumbai taxi seat covers into canvases, creating an outlet for artists to channel their talent as well as enhancing the everyday travel experience of thousands of people in that crowded city. I love the playful designs and bright colours of these fabrics! 3rd Culture’s stand also caught my eye for its colourful products. This Istanbul-based store showcases a collection of unique furniture, photography that is “Inspired by the World, Created in Istanbul”. 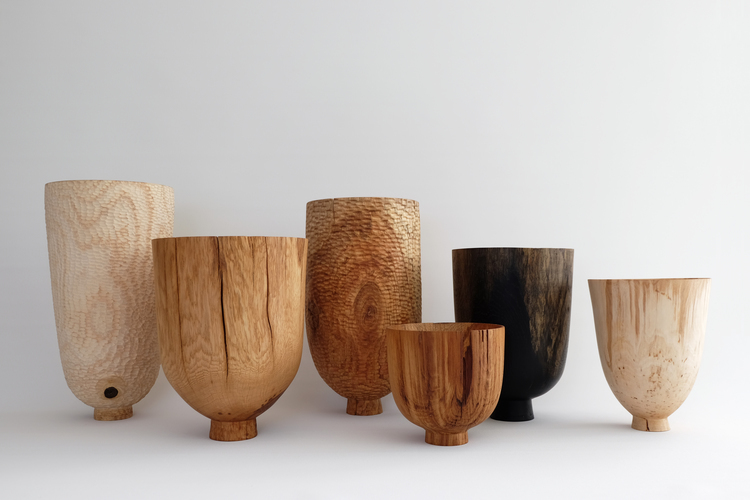 And finally, we’re back in the UK with these beautiful vessels from Forest + Found. This sustainable craft and design partnership places an emphasis on material and process, working with traditional craft methods to produce contemporary wooden objects and hand stitched textiles. From sourcing wood and dye plants in the forest, to each mark of the hand on an object, their work endeavours to tell a story. So there you have it – my highlights from Design Junction and The London Design Fair. Does anything here catch your eye? I’d love to hear from you. The end of last month saw a frantic week of activity surrounding the London Design Festival. Usually the important trade shows at this time of the year take place over two weeks, but for some reason this year everything happened during the course of one week! It was a busy week!! 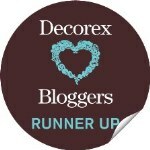 So, before time runs away with me too much, I thought I would give you all a quick run through of my highlights from that week, starting off with Decorex. This is my all time favourite show for the quality of the products on display. It is held at Syon Park, and seems to be getting bigger and bigger each year. 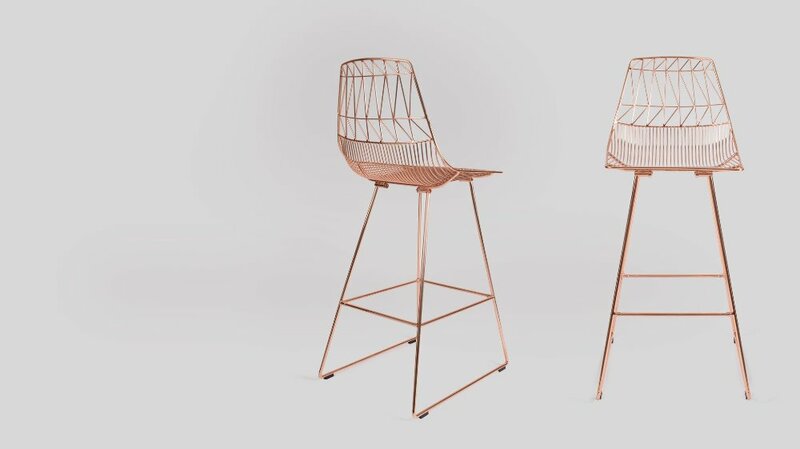 I have been a huge fan of A Rum Fellow ever since I first came across their work in the damp surrounds of the House of Detention during Clerkenwell Design Week a few years ago. The duo, Caroline Lindsell and Dylan O’Shea , were awarded the much coveted prize for best new product launch at this year’s show. 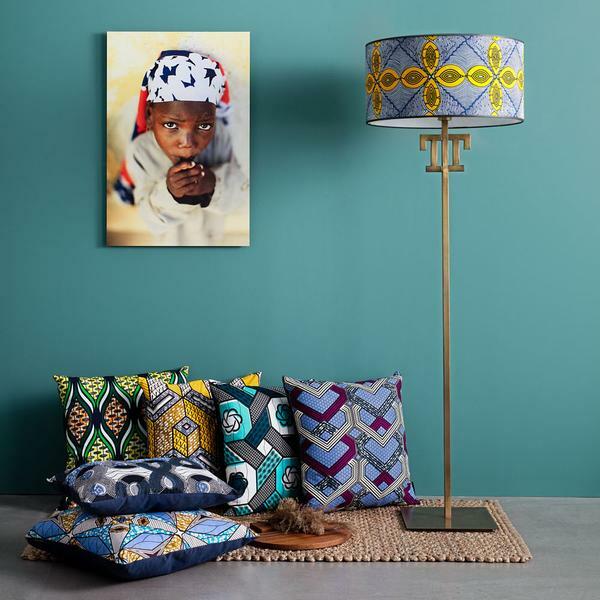 Caroline and Dylan travel the globe in search of the wonderful and unique, introducing collections inspired by an explored country, taking in that region’s finest traditional design and translating it into their own uncommon style. They have a firm belief that beautiful design can be a force for positive change by working direct and with weaving cooperatives and social enterprises. Naomi Paul’s beautifully crocheted lampshades caught my eye. Her designs are born out of childhood on a farm in Sussex surrounded by nature and craftsmen. 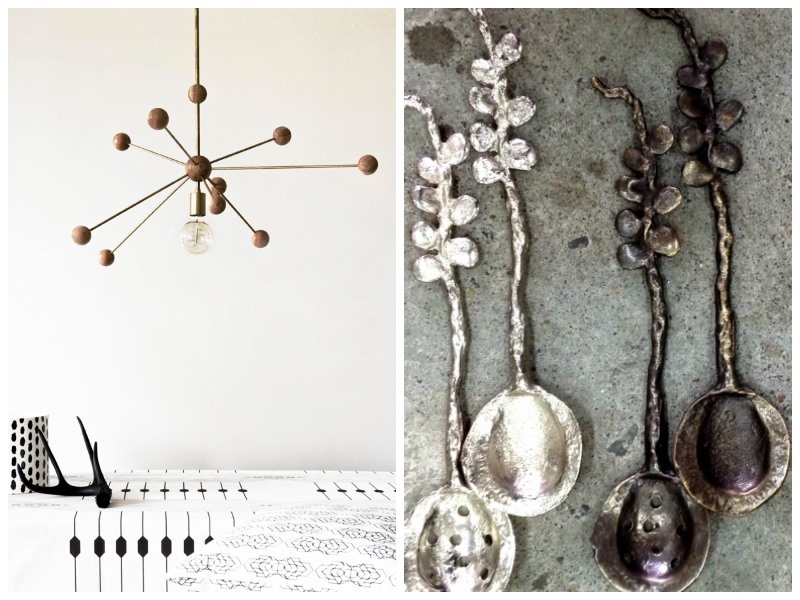 All her pendants are handcrafted in their studio in East London. The unusual finishes on Tamsin van Essen’s porcelain caught my eye. 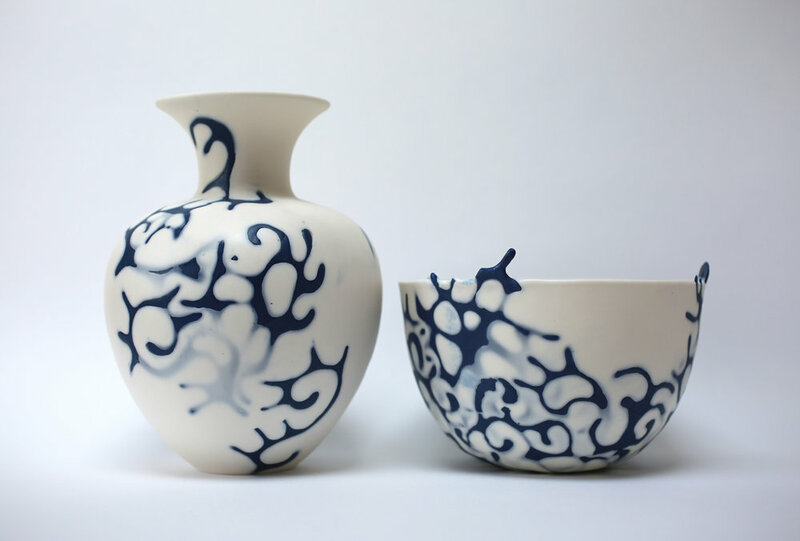 Her designs involve embedding and partially obscuring baroque decorative elements within Parian porcelain. 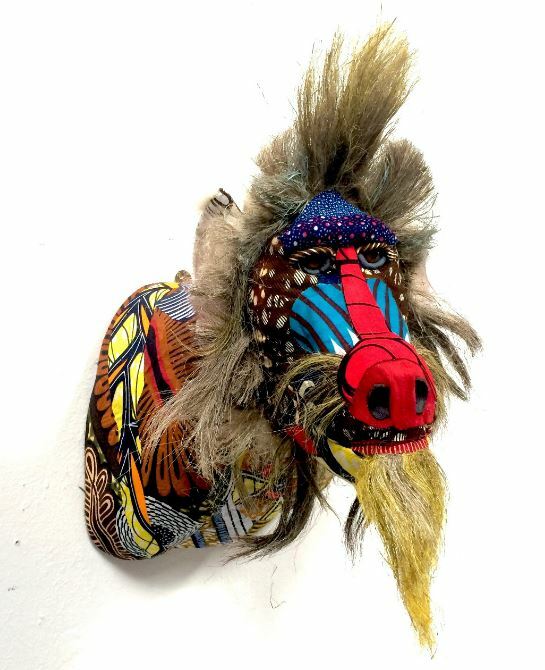 Carola van Dyke’s textile taxidermy has caught my attention before, but this year she has launch an African collection for Decorex. Carola is an artist with experience in illustration, fashion, art and design, and her work draws on her passion for textures, mismatches and the contrasts of colours, textures and layers, creating works that are quirky, intricate, and with a sense of humour! 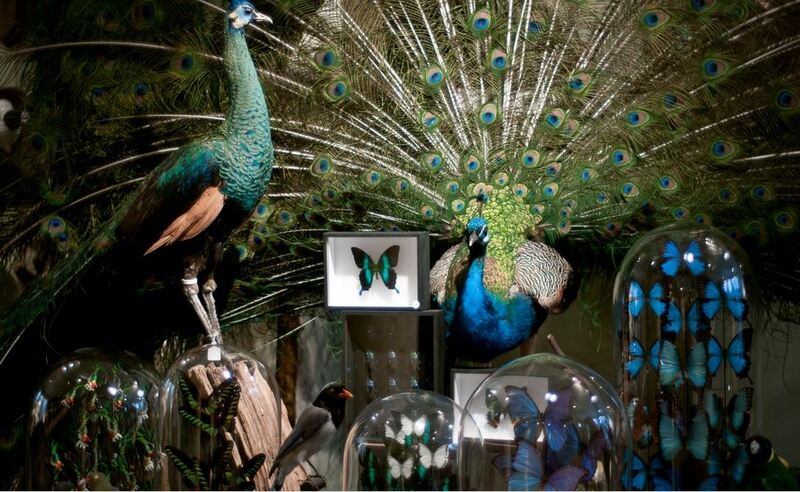 Whilst on the subject of taxidermy, I was captivated by French company Design et Nature who sell real taxidermy, made from zoo animals that have died, or butterflies that are bred specifically. They had some ethereal displays of dyed pigeons that Damien Hirst I’m sure would admire! Seeking out beautiful things at the show, I couldn’t help but be drawn in by The London Basin Company’s stunning designs! 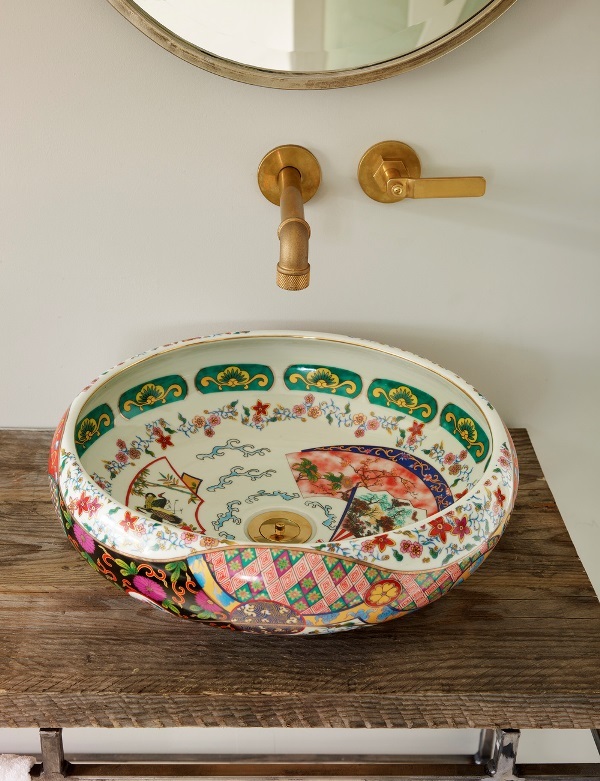 Founded by mother and daughter, Anna & Nathalie, they have created a collection of beautifully decorated basins that would transform your bathroom from bland to spectacular. I was totally blown away by the light installation at Tangent designed by Hideki Yoshimoto and Yoshinaka Ono. 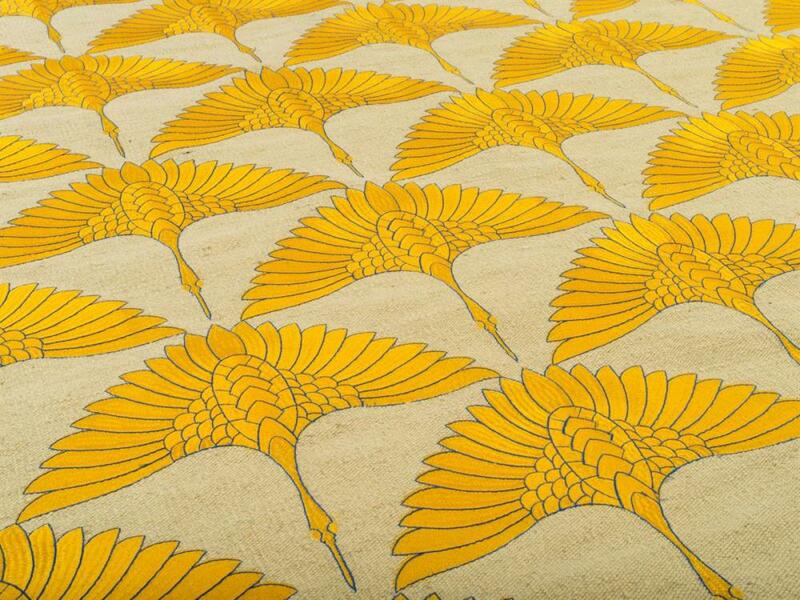 Inaho is inspired by golden ears of rice swaying in the wind. 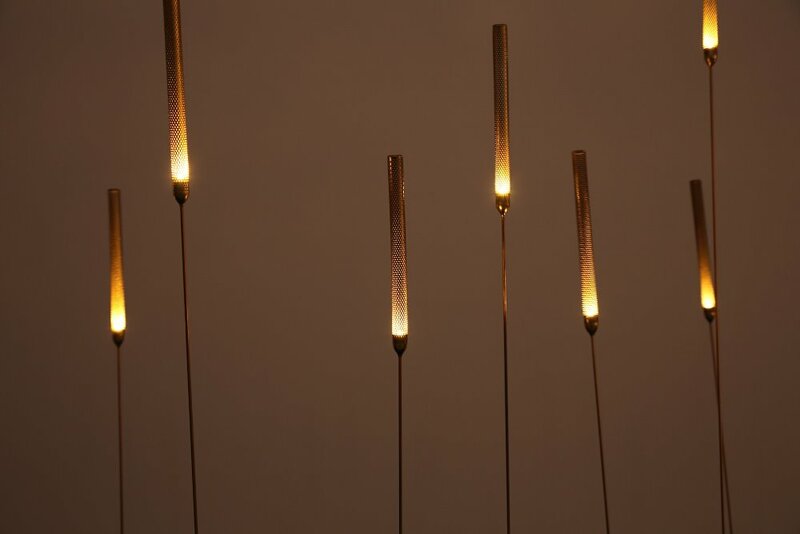 Light from LEDs is cast in dots, reminiscent of paddy rice, through perforated tubes attached to narrow stems. Human-detection sensors, embedded in the base of the installation, cause the stems to sway as a person passes by. Wow! I always love products with a good story, and that is certainly what is behind the Newton Paisley wallpaper and fabric designs. Founder Susy Paisley is a conservation biologist, artist and textile designer. Her designs tell stories of neglected and endangered species, and contribute towards the preservation of critical wild habitat. Collaborating with the World Land Trust, for every metre of fabric sold, 100 m2 of wild habitat will be preserved. The new Bolle lamp, designed by the Anglo-Italian team Giopato & Coombes, and made from hand blown glass, is inspired by the lightness of soap bubbles. And that is exactly what it does look like! 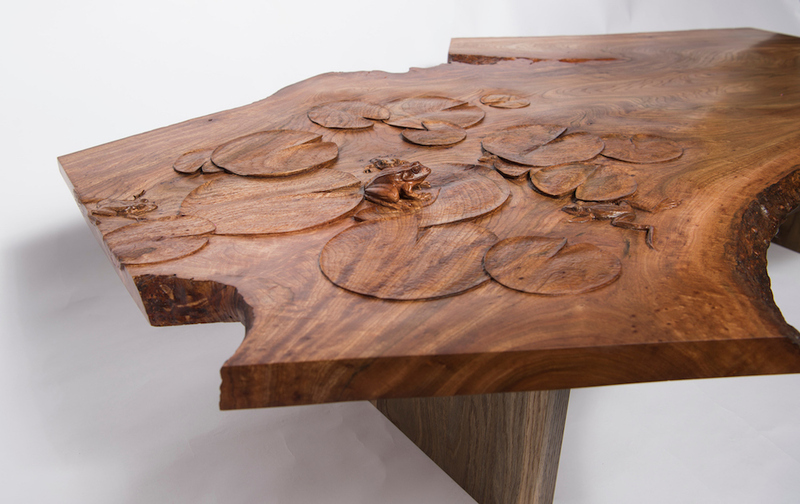 The picture of this coffee table by Method fails to convey the intricacy of the carving on it, and the difference between the textures of the frogs and the water lilies. This particular piece took Method’s creative director and co-founder, Callum Robinson, a month to create, and it is a truly beautiful and unique piece! 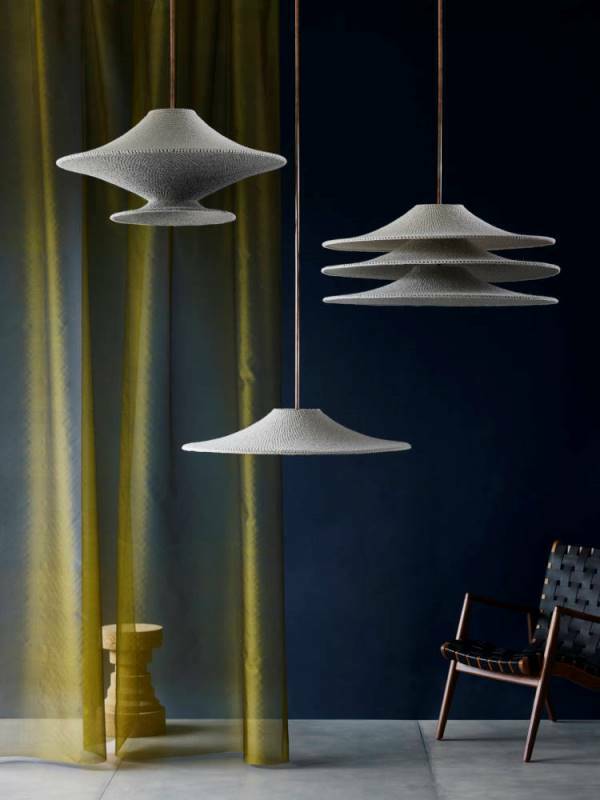 I have blogged about Kaia’s beautiful lighting before, but this year they excelled themselves with their new Ora collection. 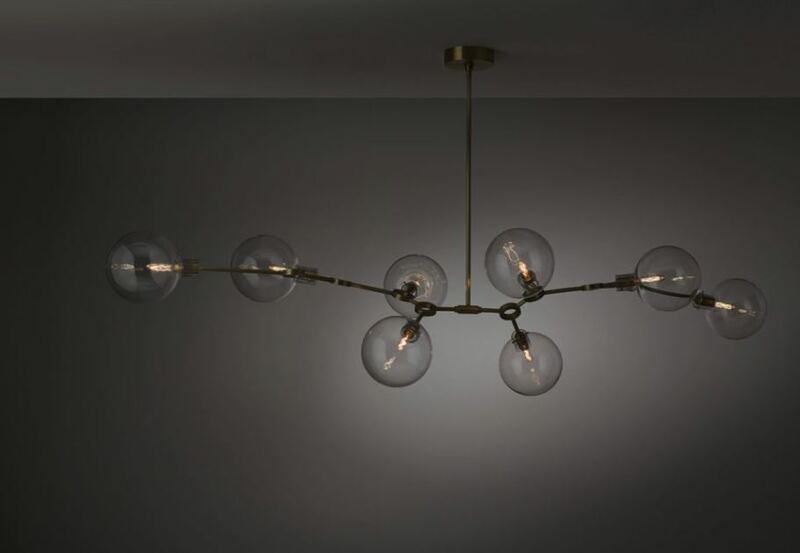 I can see this beautifully sculptural piece hanging above a dining table, and I want one! And finally, something for outdoors. A Place In The Garden was exhibiting this contemporary water feature. It is completely self-contained, so does not require a water supply to the feature. 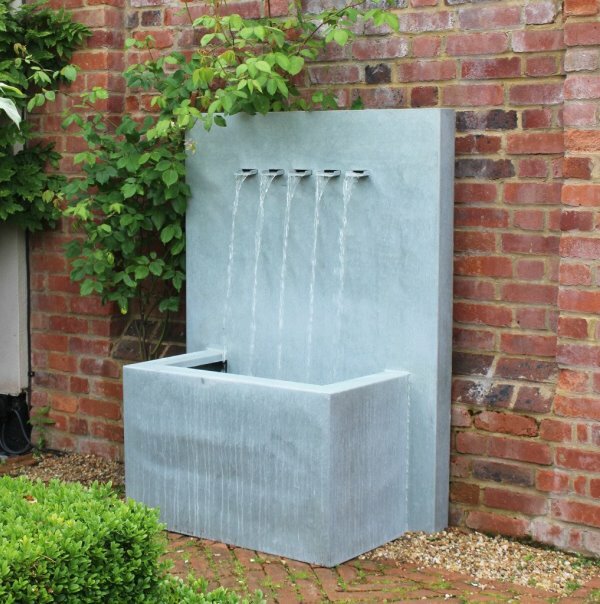 I only wish that I had discovered this water feature before installing the pond in my own garden! Well, that’s it for Decorex 2016. I’ll be back with another post soon. Image credits from respective companies. The Method table © Graeme Hunter Pictures. It seems like forever since I last blogged. 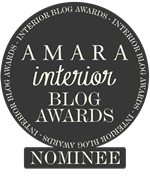 I am pleased to say that my interior design projects have been keeping me very busy of late, but there seems to be a bit of a lull in the office today, so I am taking advantage of this to catch up on some much planned blogs. 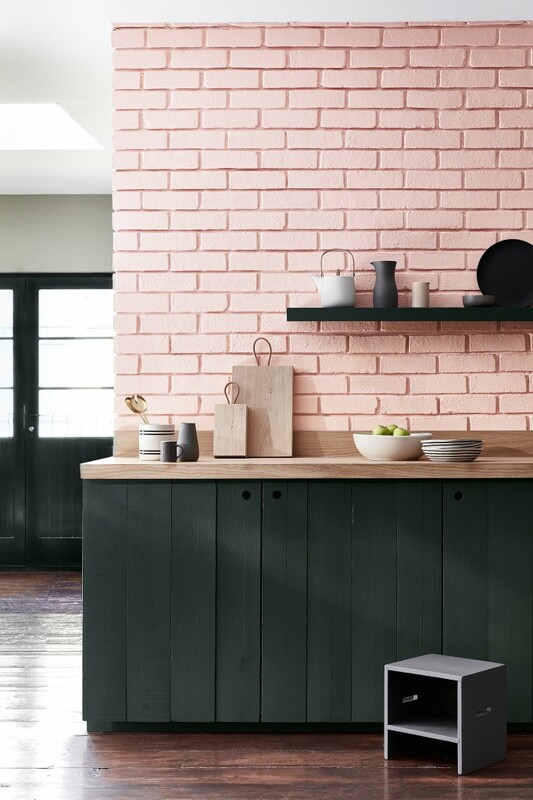 So, before October is out, I thought I would start by telling you about Little Greene’s ‘Pink’ collection which they have launched to mark Breast Cancer Awareness Month – October 2016. 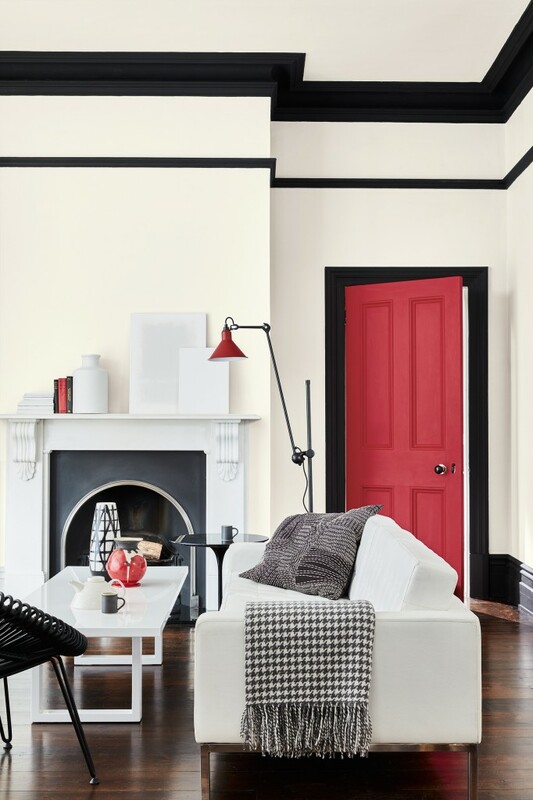 Little Greene is one of my favourite brands of paint, and I often specify their colours in my projects. Their new ‘Pink’ collection comprises eight related pink shades, providing a delicious choice from soft delicate tones associated with femininity and sensitivity to bolder, seductive hues. 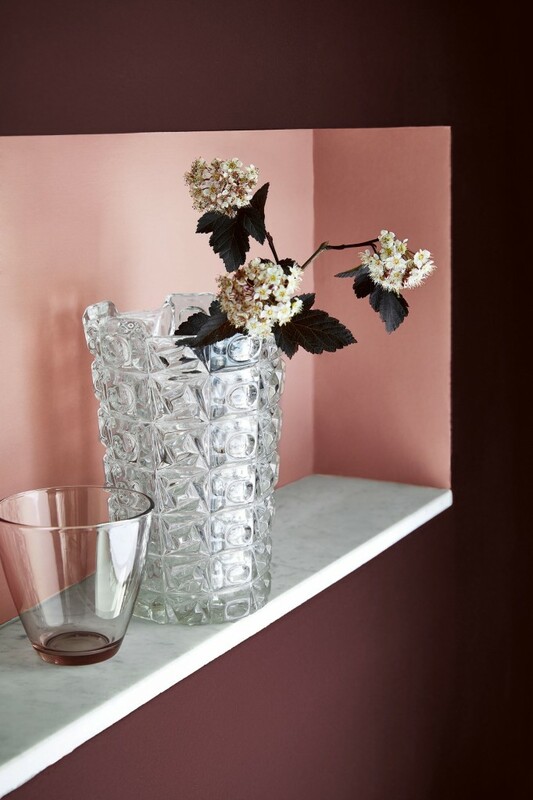 As a colour, pink comes across as being nurturing, caring, warm and romantic. Too much pink, however, can leave us feeling needy and physically weak. Soft pinks are soothing colours, and I have to say that my eyes are constantly drawn to the first image in this post – probably for exactly those reasons. 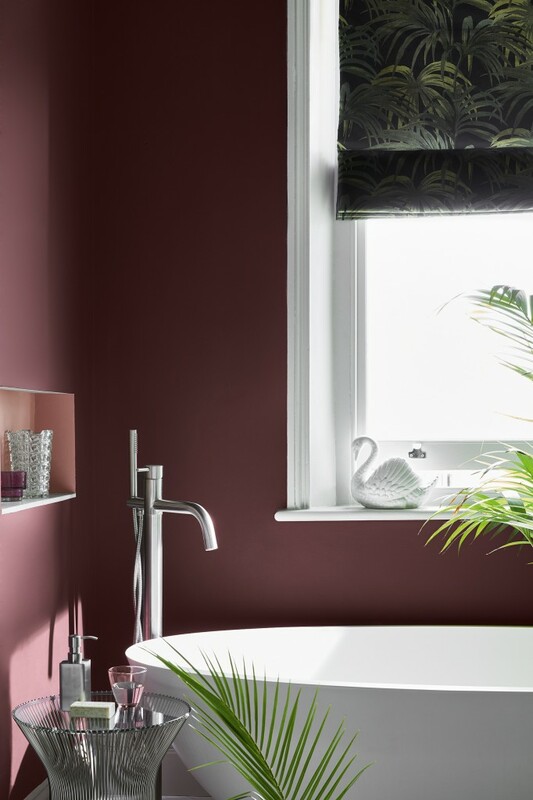 In keeping with Little Greene’s heritage links, ‘Pink’ has its roots in history. During the Renaissance period, pink was used in paintings for the flesh colour of the human body, the ‘skin’ colour being created from a combination of two pigments – ‘Sinopia’, also known as Venetian Red, and Lime White. Whilst pink colours had been used in artists’ work for centuries it was only during the 18th Century that pinks became popular in fashionable clothing and porcelain, with architecture following across Europe soon afterwards. The name ‘pink’ derived from the flower of the same name and was adopted in the late 17th. Pink fell out of fashion in the 19th Century and only with the introduction of lightfast chemical dyes in the 20th Century creating bolder, brighter and more powerful pinks was there a resurgence in popularity. It was in the 1940s that pink truly became associated with girls; before that, pink had been for boys too. 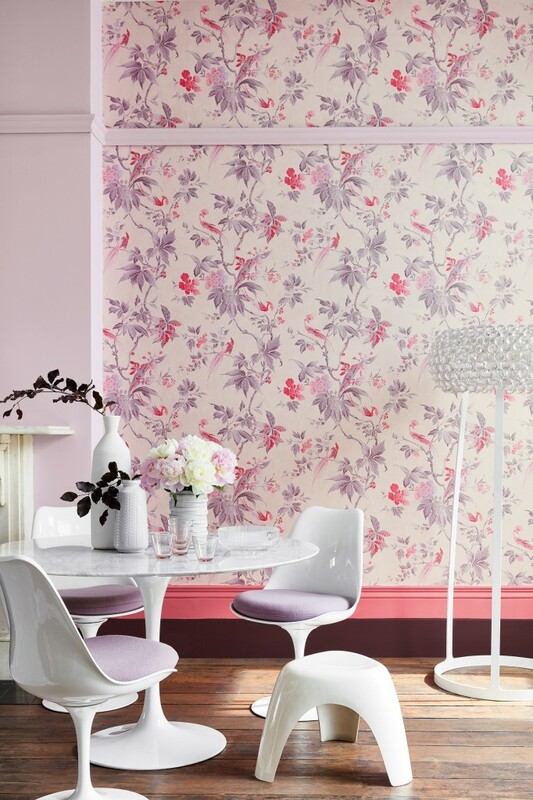 Little Greene have also launched a new colourway of the Paradise (c1940) wallpaper design, re-coloured in a gentle pink, with a subtly shimmering mica ground. The English Heritage-owned document from which this paper is drawn is actually a 20th Century piece, but the subject – exotic flora and the familiar oriental ho-ho birds – is classic ancient Chinoiserie. 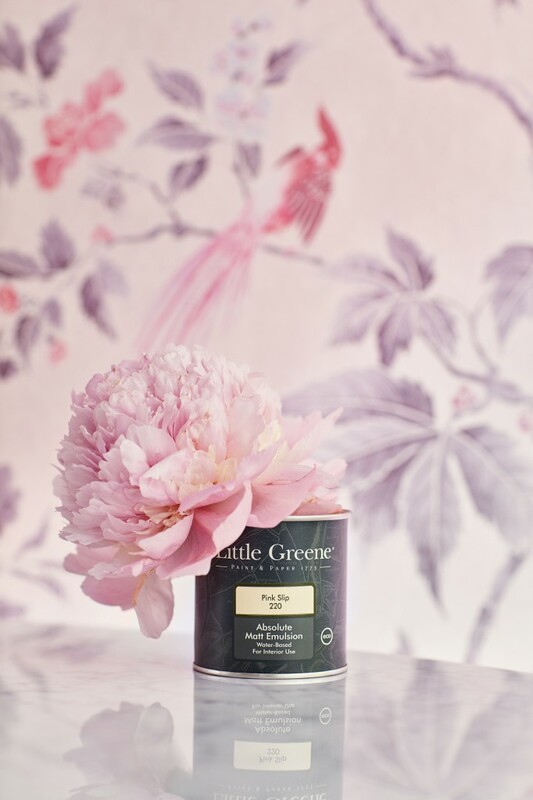 During the month of October, 15p of every can of paint and roll of wallpaper sold will be donated to Breast Cancer Haven, a charity providing one-to-one support to improve the quality of life of anyone affected by breast cancer.